The province of Tawi-Tawi is experiencing a tourism boom with visitor arrivals increasing three fold this year as compared to the previous year. This, as the province is attracting tourists, both local and foreign, even as Mindanao is under martial law since the second quarter of this year due to the Marawi crisis, according to Tawi-Tawi Provincial Tourism Officer Mobin Gampal. “In one month, we can expect more than a thousand to about three thousand tourists both from (the country’s other provinces) and from outside the country,” Gampal said Tuesday. “Tourists do not request security personnel when they visit the province because they feel secure,” he added. 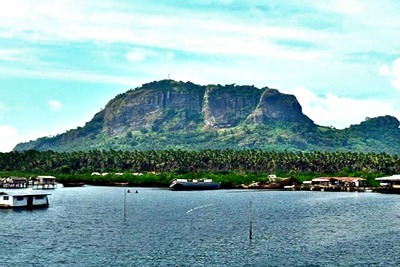 He noted that the most visited spots in the province of Tawi-Tawi are the Bongao Peak, better known as Bud Bongao; Panampangan Island; Simunul; Sitangkai; Panguan Island; and, the Turtle Island. He said the province is ready to become the region’s top tourist destination with the increasing number of development and tourism projects, mostly initiated by the Autonomous Region in Muslim Mindanao (ARMM). Since 2012, ARMM has placed more than P3 billion worth of projects in the province, including tourism infrastructure. ARMM has developed Bud Bongao into an Eco-Tourism Park with the construction of a visitor receiving center, waiting sheds, view decks, solar-powered post lights, concrete paved steps and handrails, and a 400-meter access road. This tourism project was supported by a P56 million budget from the regional government. The inaugural climb of the Bud Bongao Eco-Toursim Park was held in July this year. Gampal said the entry into the tourists spots, including parks, in Tawi-Tawi is free of charge. Gampal also underscored that accommodation, food, and other amenities in Tawi-Tawi are affordable and generally budget-friendly. “The lifestyle in Tawi-Tawi is unique. Most of our tourists are coming to the province not only because of the place itself, but because of the life Tawi-Tawi has,” Gampal said. Meanwhile, this week's tourism event in the province of Tawi-Tawi is the celebration of the arrival of Sheikh Karimul Makhdum six centuries ago.